最容易疏忽而出錯的部分在連接下排 [ Power Pins ] 時…. ( maximum per-pin current of 40mA ). simply burn out and stop protecting the pin. USB interface chip, and destroy them too. that the 5V voltage remains at 5V, no matter what. IT WILL NOT! regulator can do nothing about it. The 3.3V connector pin has no protection circuitry. 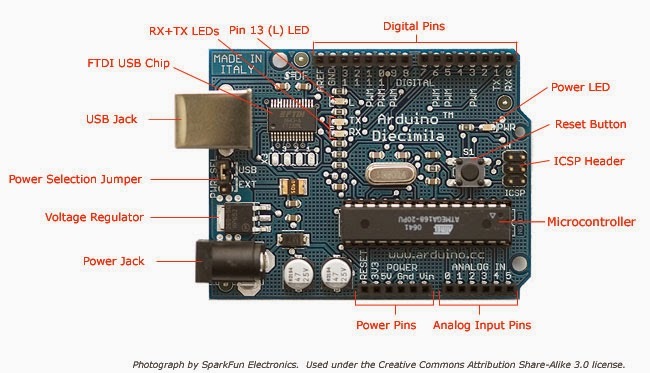 This voltage is directly connected to the Arduino 3.3V regulator and any other shields or devices that are powered by this connector pin. If the voltage exceeds 9V, the 3.3V regulator will be destroyed and may allow current to flow backwards to the 5V node, and then backwards further to the PC's USB port. 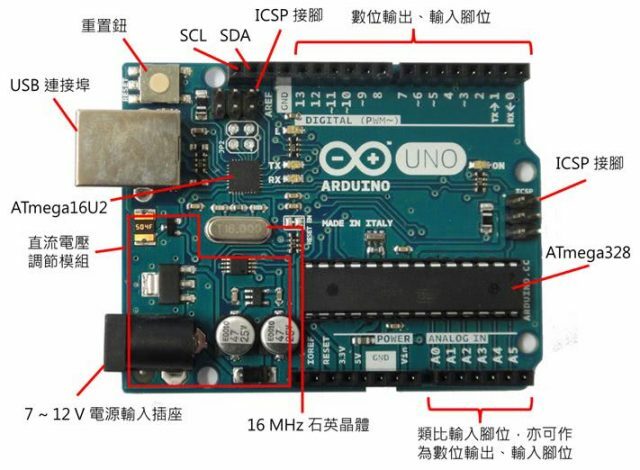 The excessive voltage will also destroy the two devices connected to the 5V node: the ATmega328P and ATmega8U2 microcontrollers. and back to the PC's USB port. due to the heat caused by this large current. whatever is connected to Vin. according to the ATmega328P datasheet.